It’s not every day you get to watch an advertisement that is worth watching again and again. “Kissanpur – Discovering Real Togetherness” by www.kissanpur.com is one such wonderful AD I watched today on Facebook. The AD is about bringing people together with the help of nature. An old man enters in to a lift where no one cares to greet or smile at each other, followed by a few instances where everyone lives only in their digital world, and this hurts. A group of kids along with the old man bring together the society with the help of nature, and that’s the best part of it. This reminds me of an incident that happened exactly two years ago that helped bring people together and defined the meaning of real togetherness. It was a summer season. The time was around six in the morning when we four friends initiated an idea to clean the poorly maintained big pathway in the center of our society. We brought the necessary tools from our houses, and started working on the task. We first collected all the garbage in a bin bag, removed all the unwanted plants, and sprinkled germ killer all over the place. It took almost three years to complete this task. We then painted the wall tricolor, and wrote Tamil proverbs on the wall. We planted a mango tree in the dedicated corner and created fence around it. We did all these in a single day. The next day we fixed a big waterproof box naming it “Suggestion Box” with a digital lock. We bought two new benches and placed it opposite to each other and in the middle we placed four pots sowing different plant seeds. All of a sudden the deserted place became a centre of attraction to the people in our society. Elderly people gathered there every evening and started speaking with each other. Day by day the count increased, and we used this as an opportunity to bring out the hidden talent in each person of our society. Slowly it attracted the youths and even the kids as well. Everyone started revealing their hidden talents like dancing, singing, reciting poems, acting, etc., It helped kids and youths to familiarize with elders and in turn elders understanding the passion of their kids. We even recorded events and reached people in the digital world. By this way we came together every day, spoke with each other, shared our passions, and created opportunities for a bright future. In the meantime, the mango plant became a small tree, the seeds we sowed turned into colorful plants, and this added beauty to our Crazy Corner. 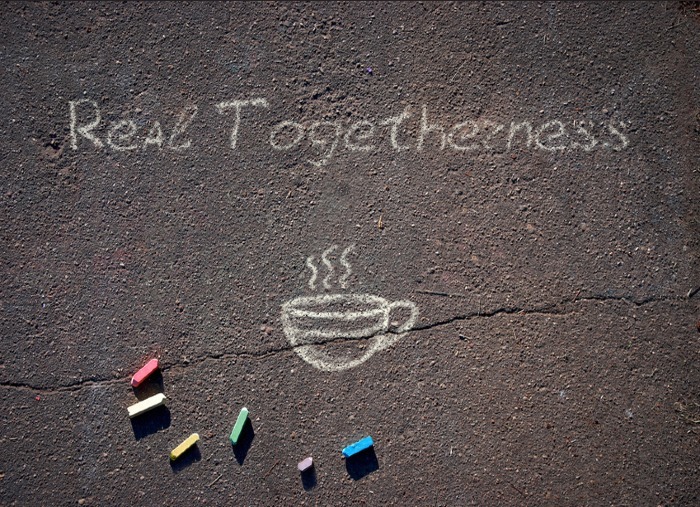 Thus, we experienced the real power and meaning of real togetherness, in this digitally connected world.